MARS Carbon Fibre Interior Dash & Door Trim Covers for RHD FORD Mustang FM FN 15-18. 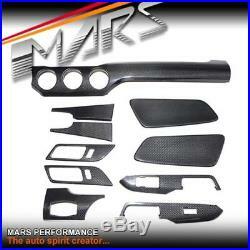 MARS Carbon Fibre Interior Dash & Door Trim Covers for RHD FORD Mustang FM FN15-18. Compatible with all RHD Mustang FM FN model from 2015 to 2018, include 2.3T and V8 GT. Not compatible with LHD models. Listing price doesn’t include installation and paint service. MARS D Shape Carbon Fibre with Leather Wrap Steering Wheel for FORD Mustang FM FN 15-18. GT Rear Side Fender / Guard Vents for Ford Mustang FM FN 15-18. MARS Performance GT Carbon Fiber Rear trunk boot lip Spoiler for Mustang FM FN 15-18. MARS MP-JW Hyper Silver 20 inch Concave Stag Alloy Wheels Rims 5×114.3. Shelby GT Style Aluminium Bonnet Hood with Plastic Vent for Ford Mustang FM 15-17. MARS MP-RH Matt Black 4x 20 Inch Deep Concave Stag Alloy Wheels Rims 5×114.3. MARS Carbon Fibre Interior Center Dashboard Trim Cover for FORD Mustang FM 15-18. MARS Carbon Fibre Manual Shift Knob interior Trim Cover for FORD Mustang FM FN 15-18. MARS Carbon Fibre Interior Automatic Shift Surround Trim Covers for RHD FORD Mustang FM FN 15-18. Mars Performance, will use the appropriate transport carrier, at their discretion for orders. We use the following transport carriers. Mars Performance do not take responsibility for broken or lost items via transit. These incidences can occur, but are rare, and we will do everything possible to assist you in the unfortunate event if it does. We will not accept any requests for change of address, product changes, such as colour, swapping for another model etc. We accept the following type of payments. EFT (Electronic Funds Transfer). Account Name: Mars Performance Pty. Bank name: Commonwealth Bank Australia. Missing parts/components must be reported within 7 calendar days upon receival of the order, we are not liable for any claim on missing parts/components beyond this 7 calendar day window. The parts that we supply are intended for installation by qualified installers. Please make sure you read the information in the listing description, if you are to make an order, as some information contained in the listing may have important information on the compatibility/condition of the product for your vehicle. (Our products are predominantly for the Australian and New Zealand market), if you are unsure that the product may not be compatible, PLEASE MESSAGE US! Installation is the Purchaser’s responsibility. Unless otherwise written in the description, all parts are supplied as is (without instructions), and require installation by a competent/experienced person or professional installer. We will not accept any requests for product changes, such as colour, swapping for another model etc. If you are unsure that the product may not be compatible for your vehicle, PLEASE MESSAGE US! The item “MARS Carbon Fibre Interior Dash & Door Trim Cover for RHD FORD Mustang FM FN 15+” is in sale since Wednesday, October 17, 2012. This item is in the category “Vehicle Parts & Accessories\Car & Truck Parts\Interior\Trim”. The seller is “mars_performance” and is located in Clayton, VIC . This item can be shipped to Australia, United States, United Kingdom, Canada.